That Darn Cat! 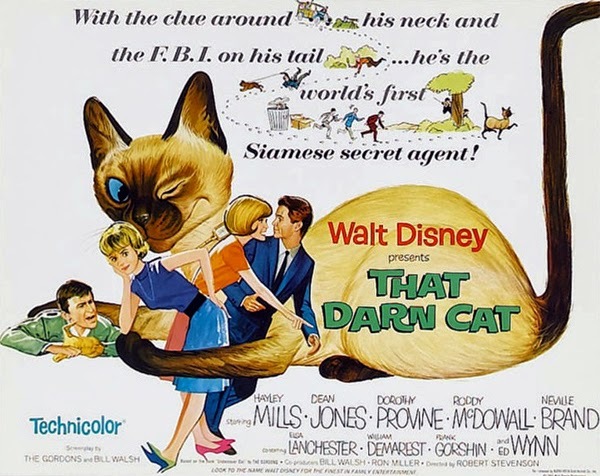 is a 1965 American Walt Disney Productions thriller comedy film starring Hayley Mills (in her last of the six films she made for the Walt Disney Studios) and Dean Jones (starring in his first film for Disney) in a story about bank robbers, a kidnapping and a mischievous cat. The film was based on the book Undercover Cat by Gordon and Mildred Gordon and was directed by Robert Stevenson. The title song was written by the Sherman Brothers and sung by Bobby Darin. The 1997 remake featured a cameo appearance by Dean Jones. Enjoyed the clip. Such an innocent time. C for me would be Cinderella, not the one now though. I remember that movie. Picking some unique ones, Jeremy. Haven't seen this movie but it sounds interesting. Will have to watch it sometime. Y'know, I don't think I've seen this one :) I usually enjoy a good Disney comedy. 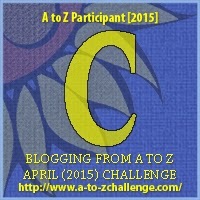 LOl my post today is C for Cider With Rosie.... and CATS! I'm number 590 on the list - so far enjoying the fun! I loved that movie. Watched it many times over the years. A lot of good laughter and hey, it had a cat as a hero. Pretty good. Gosh I'm old because I do remember seeing this movie. So many Disney movies were so light hearted, fun, made you laugh, good family entertainment indeed. I actually haven't seen this movie since I was little...maybe it's time I watched it again! Thanks! The newer remake of That Darn Cat with Christina Ricci was funny. I didn't love the remake as much but the original was great! I don't believe I've seen this old Disney movie. Now, I gotta check Netflix to see if it's available for streaming. Thanks for reminding me! The ideal of calm exists in the mind of that darn cat. I'd forgotten that movie. It was fun. Maybe I should see it again. I'm loving this return to Disney you've got going. Oh I just saw this film last year with my best friend. I loved it! Great pick! I know I saw this when I was a kid but darned if I can remember it. Sounds like a good movie for cat lovers. I don't think I've seen this one. That's a fun movie. I pretty much like any movie with Hayley Mills in it, even when Dean Jones is in it. I love this movie. Not many people I know seem to have seen it - glad to see it listed here! I LOVED That Darn Cat! I ranked up there with North Avenue Irregulars and The Scarecrow of Romney Marsh as Disney movies I loved as a kid that weren't animated. Good luck with the rest of the challenge! Cats can't be spies! They sleep too much!